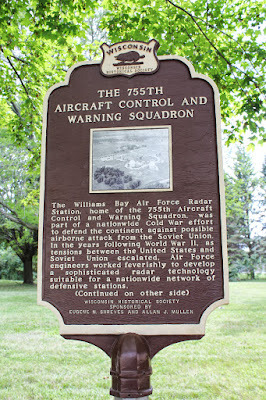 The Williams Bay Air Force Radar Station, home of the 755th Aircraft Control and Warning Squadron, was part of a nationwide Cold War effort to defend the continent against possible airborne attack from the Soviet Union. 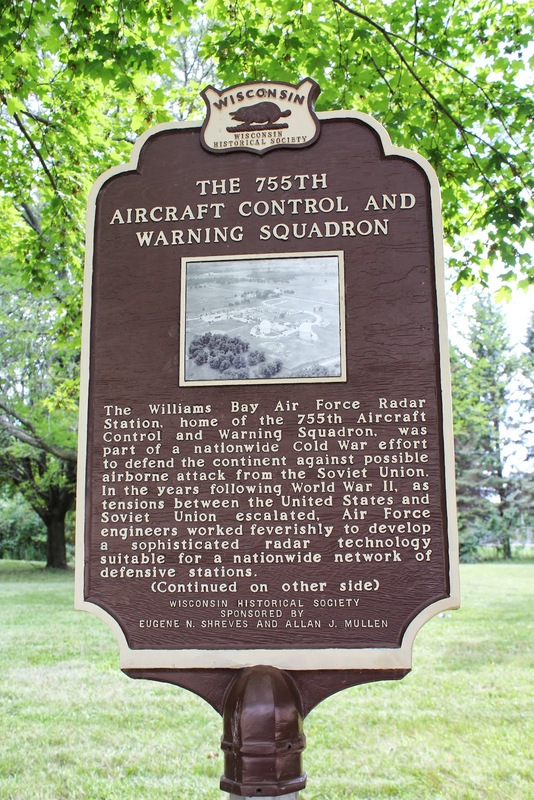 In the years following World War II, as tensions between the United States and Soviet Union escalated, Air Force engineers worked feverishly to develop a sophisticated radar technology suitable for a nationwide network of defensive stations. The system did not gain wide support until the Soviet Union exploded their first atomic bomb in August 1949. The Williams Bay station became operational in 1950. Built on one of the highest elevations in the region, its two radomes scanned the skies 24 hours a day for the ten years it was active. 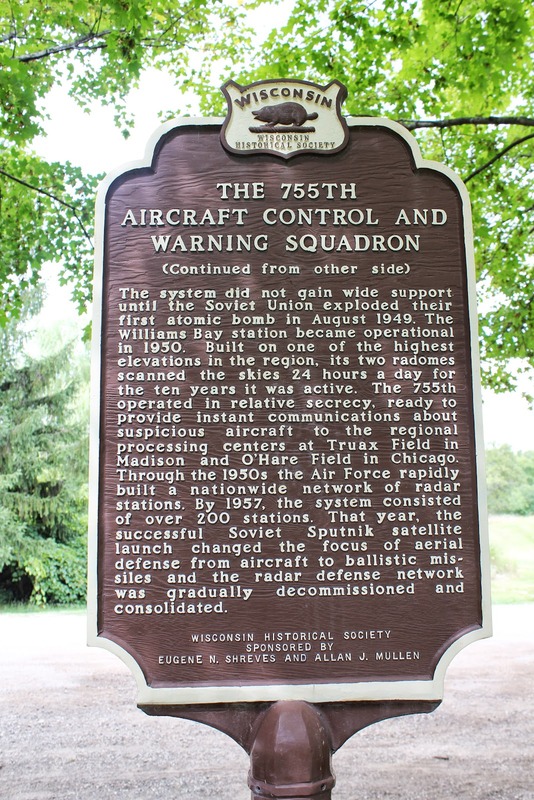 The 755th operated in relative secrecy, ready to provide instant communications about suspicious aircraft to the regional processing centers at Truax Field in Madison and O’Hare Field in Chicago. 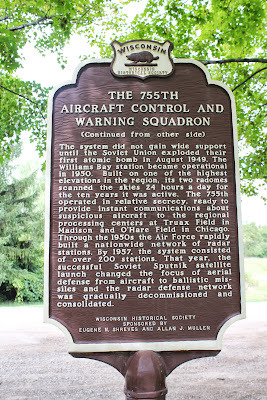 Through the 1950s the Air Force rapidly built a nationwide network of radar stations. By 1957, the system consisted of over 200 stations. That year, the successful Soviet Sputnik satellite launch changed the focus of aerial defense from aircraft to ballistic missiles and the radar defense network was gradually decommissioned and consolidated. 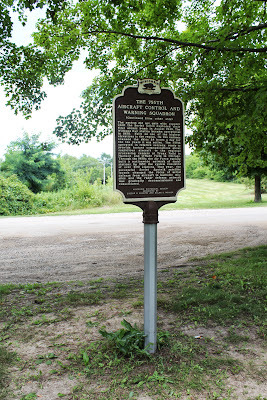 The marker is located at the the entrance to State Highway 67 Industrial Park, N3440 State Highway 67, south of its intersection with Palmer Road, Williams Bay, Wisconsin 53191. 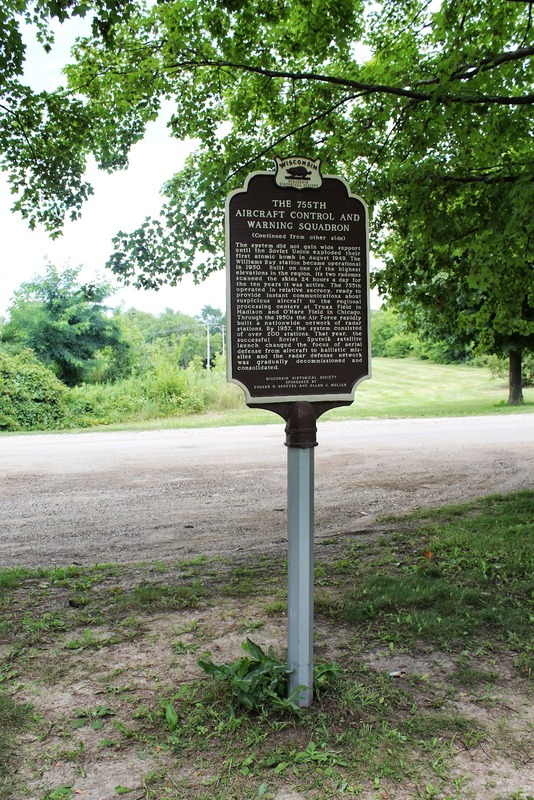 The marker is hidden amongst the trees and is not visible from the highway; however, there is signage leading to the marker location (see photos below). Looking out from marker site at entrance from Highway 67. Highway signage leading to marker.